The second location of Kim Malek’s nationally-recognized ice cream shop has opened its doors to the cone-craving public, complete with one-of-a-kind lattes, made-in-house breakfast pastries, and plenty of new flavors. 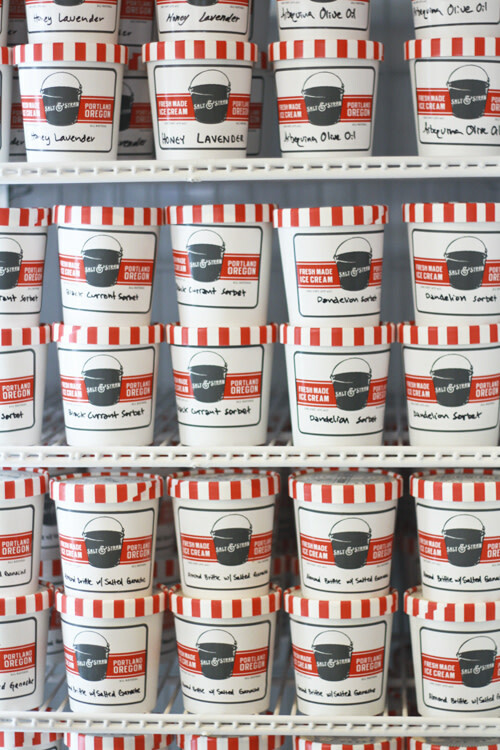 It’s not unusual to see a line of twenty people queuing up for a scoop of ice cream at Salt & Straw’s NE Alberta location, so—less than a year after the launch of the celebrated sweet treat company—owner Kim Malek decided it was time to expand. 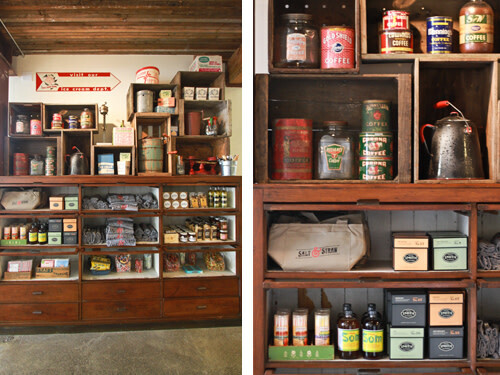 The shop’s second location sits on the corner of Northwest 23rd and Kearney, in the former Esquire Theater building. The box office and big screen may have been relegated to blurry prints in Portland’s architectural archives, but the legacy of the historic neighborhood gathering spot is on display in the scoop shop’s soaring ceilings, floor-to-ceiling accordion windows enclosing the former corner box-office space, and restroom walls decked with vintage film reel containers. On a preview tour of the space, Malek gleefully informed me that the theater featured a back-room speakeasy during Prohibition. The name of the illicit bar? The Ice Cream Shop. 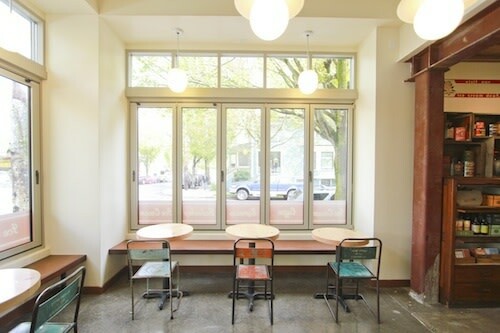 Call it fate or a convincing real estate agent, the new space certainly suits the Salt & Straw team. Head ice cream maker Tyler Malek now has much more room to experiment—under the watchful eye of customers, thanks to a picture window leading to the kitchen. New ice cream flavors include Dandelion Sorbet with edible spring flowers from Viridian Farms, Rhubarb with toasted anise crumble, and Sweet Heat Apricot Wheat Ale with candied Scotch Bonnet Peppers and Burnside Brewing ale. A longer bank of ice cream freezers means more room for skilled scoopers to serve guests (think less time in line), and more seating indoors and out encourages guests to linger over their treats. 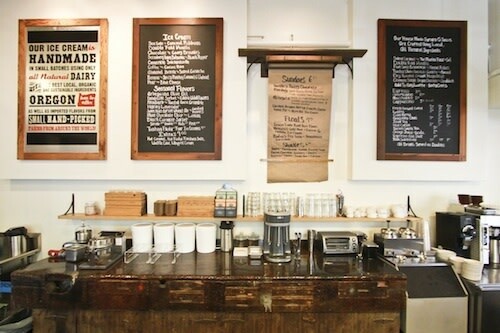 Thanks to extra square footage allotted by the room’s second story loft, Salt & Straw has hired a full-time baker, Carla Burns, to whip up a full line of breakfast pastries and desserts to accompany the shop’s Stumptown coffee service. What’s more, all of the shop’s ice cream mix-ins, from brownies to anise cookie crumbles, are now made in house. Fans of the company’s creative collaborations need not worry about the in-sourcing of ingredients—Salt & Straw remains dedicated to celebrating local culinary artisans (like Bee Local honey, Woodblock Chocolate, New Deal Distillery, Viridian Farms, Burnside Brewing, and more). The scoop shop is also launching a series of chef collaborations with Aviary, Beast, Boke Bowl, Ox, and more. 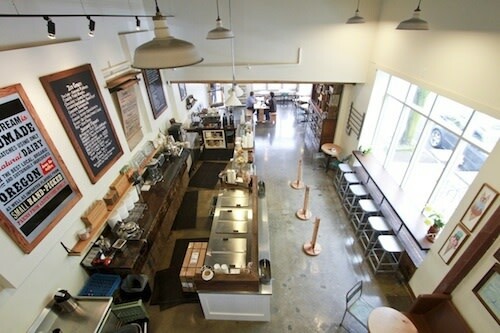 The scoop shop features vintage ice cream artifacts selected by Sarah Littlefield of Seattle Junk Love and a well-curated selection of local sweets and artisan products from olive oil to tea. 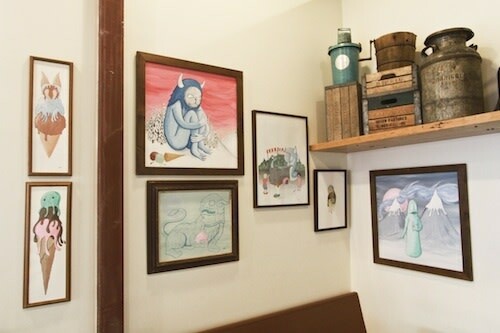 Local artist (and original Salt & Straw ice cream scooper) Neil Perry was commissioned to paint a series of pastel "ice cream monster" pieces that will permanently deck the new shop. 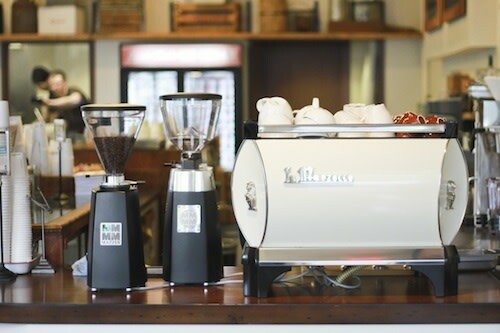 Tyler Malek created a line of custom syrups to complement the scoop shop’s coffee service, from Ocamare single-origin chocolate for a sublime mocha to a five-spice spin on chai featuring fennel pollen, anise, and cinnamon. These syrups were reportedly the first to ever be allowed into Stumptown’s lauded roastery, and yes, the curators of coffee taste love them. 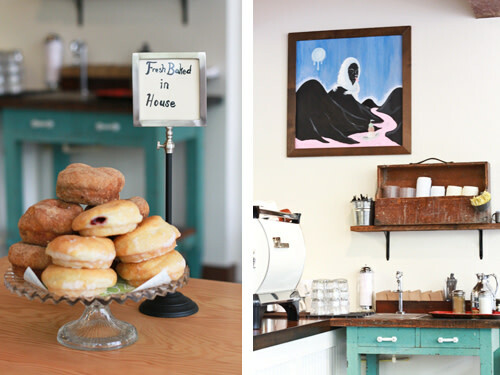 Salt & Straw’s new baked goods include baked, jelly-filled doughnuts, hand pies filled with Oregon berries and cream cheese, quiche Lorraine scones, oat bran or blueberry lemon muffins, house-made granola, and plenty of huge cookies. Long story short, the wait is over, the lights are on, and the cameras are ready to roll. It’s time for some ice cream action.